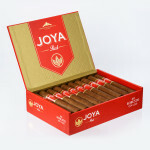 Estelí – You probably know Joya de Nicaragua as the traditional maker of powerful cigars. Think again! 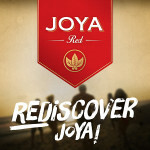 Meet JOYA RED, a new and exciting side of JDN. Some might even call it unexpected. Developed for the modern smoker by the youngest executive team in the industry, together with the most senior Master Blenders of Nicaragua. Juan Ignacio Martínez (31), President of JDN since 2013, led a team of contemporary executives and experienced Master Blenders such as Leonel Raudez (62), JDN’s Factory Manager since 1992, to create this beautiful new blend. The result? 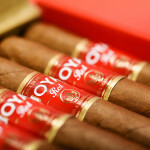 A vibrant smoke you will enjoy anytime, anywhere; classy, as always, but also a lot more fun. If you want to get technical, we created this blend with tobaccos from our beloved home of Nicaragua. This time, we moved away from our abundant use of ligeros and thick wrappers to a blend with more visos and lower priming Habano wrappers. The binder and filler leafs were also grown in the rich and fertile lands of Estelí, Jalapa and Condega. This combination of premium tobaccos resulted in a balanced cigar with medium strength and captivating flavors, all of which allow for an extremely pleasant smoking experience. 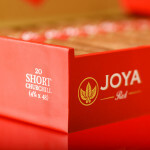 We are producing JOYA RED in four sizes packed in 20 count boxes: • Short Churchill, 4 3⁄4 x 48. 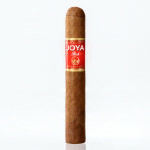 • Robusto, 5 1⁄4 x 50. • Toro, 6 x 52. • Cañonazo, 5 1⁄2 x 54. 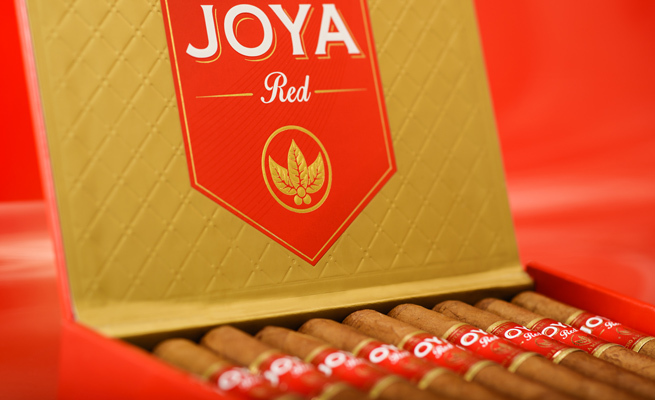 JOYA RED will be available to all retail shops during the upcoming IPCPR 82nd Annual Convention and Trade Show in Las Vegas this July. As usual, Drew Estate will distribute the brand as part of our exclusive agreement for the USA, and it will also be available worldwide through our International Marketing Division and JDN’s partners. 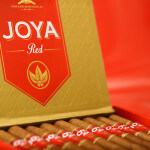 Rediscover JOYA, Rediscover cigars!